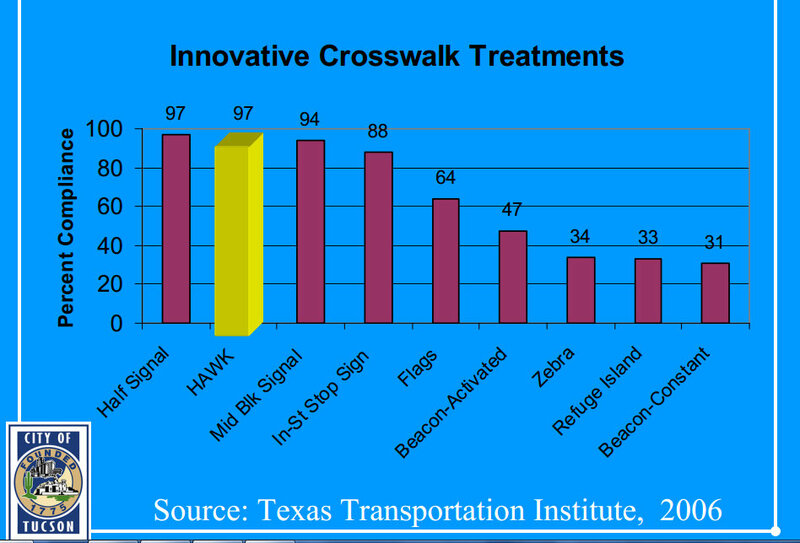 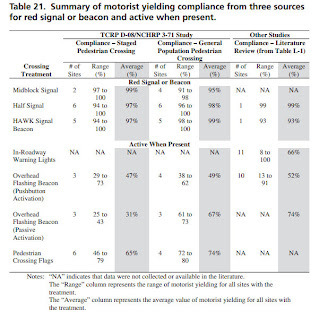 At the meeting with the Texas Transportation Institute and the Federal Highway Administration and I learned today that the difference between Half Signals and Pedestrian Hybrid beacons is not statistically significant. 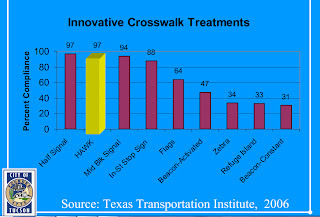 I came across this chart that I found with a quick google search. 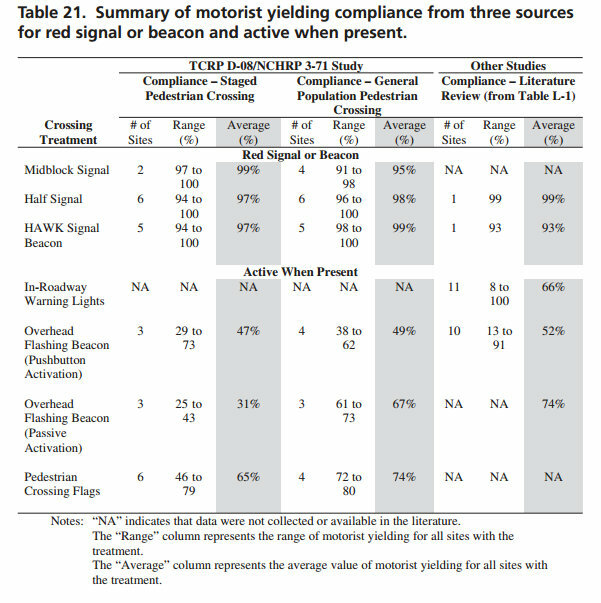 This is a little bit different than the NCHRP 3-71 study that was published in the document as NCHRP 562.